Conor McGregor’s attorneys have filed a motion to dismiss several claims in the lawsuit from fellow fighter Michael Chiesa following the events that unfolded ahead of UFC 223 in New York. Documentation filed by McGregor’s attorneys was obtained from the New York Supreme Court on Tuesday following an initial report from TMZ. Chiesa filed the lawsuit after he was struck by debris from a shattered window after McGregor tossed a moving dolly at a bus filled with fighters as he attempted to get to UFC lightweight champion Khabib Nurmagomedov. McGregor and his entourage attacked the bus inside the Barclays Center in Brooklyn, throwing several objects and breaking the glass out of the windows. McGregor was later arrested for his role in the assault. Chiesa suffered cuts to his head that ultimately forced him out of his scheduled fight a few days later against Anthony Pettis. The former ‘Ultimate Fighter’ winner then filed a lawsuit against McGregor claiming negligence, negligent infliction of emotional distress, assault and battery. Now McGregor’s attorneys have asked for the lawsuit to be dismissed in a 19-page document filed on the fighter’s behalf in New York. In the counter to the lawsuit, McGregor’s attorneys counter several arguments made by Chiesa in the lawsuit including his claim of ‘outrageous’ behavior. That word is particularly important when it comes to filing a lawsuit and claiming intentional infliction of emotional distress. The motion to dismiss also states regarding the intentional and negligent infliction of emotional distress that Chiesa’s lawsuit lacks ‘any specific allegations of emotional distress and contains only unsubstantiated boilerplate assertions’. McGregor’s attorney’s additionally claimed that McGregor assaulting the bus, ‘not Chiesa himself, do not approach the rigorous standards of outrageousness as defined by New York Courts’ and added that the former two division champion’s aggression was ‘clearly not directed’ at Chiesa at all. 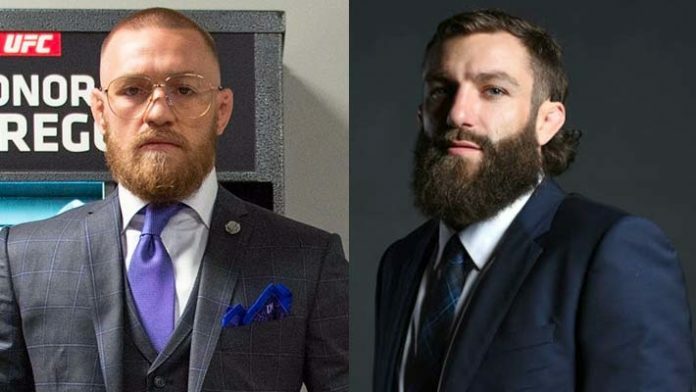 Finally, McGregor’s attorney’s take aim at Chiesa through his occupation as a fighter when countering his claim of emotional distress suffered in the altercation. In closing the attorneys for McGregor ask for the claims of ‘negligence, negligent infliction of emotional distress and intentional infliction of emotional distress be dismissed’. McGregor already closed down the criminal proceedings earlier this year when he pled guilty to one count of disorderly conduct and received community service as well as court ordered anger management classes as part of his plea deal.